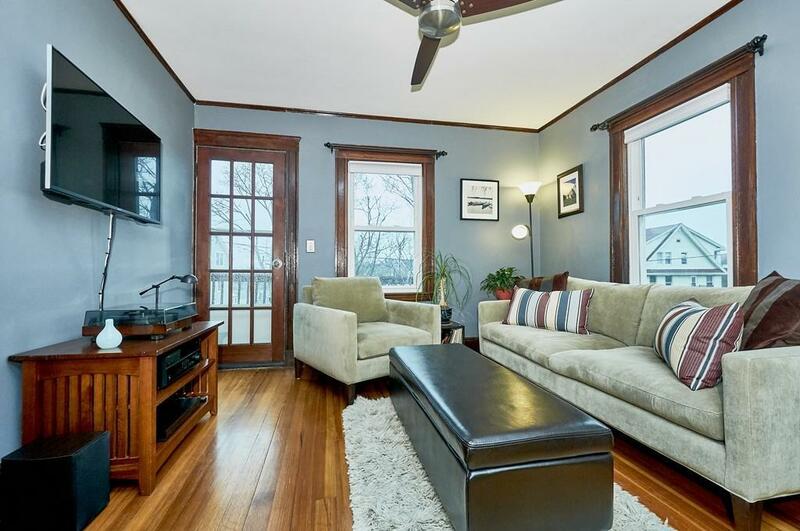 Stylish penthouse retreat on a quiet dead-end street overlooking Roslindale Village with distant views of the Blue Hills. Steps to commuter rail, bus lines, shops and restaurants. Offers private front and rear porches, renovated kitchen with abundant cabinets, granite counters, SS appliances, renovated bath with heated tile floor. Warm natural woodwork in open living/dining area. Well appointed one bedroom with bonus office space. Common laundry and private storage room in basement. Fenced yard. Pet friendly. Ample parking in neighboring lot and on-street permit parking for residents. Welcome to the heart of Roslindale!